The parks, reservoirs, rooftops and gardens of London – here defined as the area within 20 miles of St Paul's Cathedral – have a surprisingly rich avifauna, including a healthy population of one of Britain's rarest breeders, the Black Redstart. The region also has a remarkable list of rarities – in recent years Canary Wharf has proven to be a magnet for vagrants, while one of the very few British records of Tengmalm's Owl hails from Plaistow – an unfortunate bird stoned to death by local urchins in 1877. Some species, like the Peregrine Falcon, Black-headed Gull and Ring-necked Parakeet, have seen their fortunes soar over recent decades; others, such as House Sparrow, have suffered a population collapse. While as recently as a century ago, the London area had breeding populations of birds such as Wryneck and Red-backed Shrike, which are now nationally extinct. The status, distribution and history of every species on the regional list is discussed in rich detail in this book, the first comprehensive avifauna for the London area ever published. The County Avifauna series provides detailed information on the range and status of bird species at county level. Areas covered in the series so far include Norfolk, Suffolk, Dorset, the Shetland Islands, Leicestershire and Rutland, Essex and Gwent. 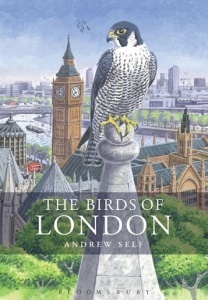 Each title covers all species on the county list, with a breakdown of rarity records, and there are introductory sections describing the area's ecology, its ornithological history, as well as a review of the best sites to visit.